Home › Maine › Skowhegan › Auto Glass Shops Near Me in Skowhegan › American Glass Co. TURN TO US FOR COMMERCIAL, RESIDENTIAL AND AUTO GLASS SERVICES IN WATERVILLE AND SKOWHEGAN, ME From shower doors and windows to windshields and storefronts, our glass shop can install, repair and replace all types of glass. We are happy to work with contractors who are building homes or commercial buildings, as well as homeowners who want to install glass doors and surfaces in their new or existing home. 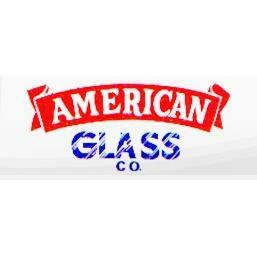 American Glass Co. has been your premier choice for commercial and residential glass since 1984. Depend on us to take care of your glass installations and repairs in Waterville and Skowhegan, ME. If it’s glass, we do it! WE HAVE OVER 37 YEARS OF EXPERIENCE When you call American Glass Co. for glass installation services, we will take time to find out what styles you like and what best suits your needs. Then we will let you know what options we have available for you. Four reasons to choose American Glass Co. are that we make sure that: You always receive the best customer service, no matter which residential, commercial or auto glass services you need. You are connected with experienced staff members for each step of the installation, repair or replacement process. You are satisfied with the final result. The job is done right the first time. Contact us today at 207-873-2141 (Waterville) or 207-474-8438 (Skowhegan) to get started. Give to American Glass Co.